Displaying a distinctly Danish vibe, the versatile Scott dining chair - black and walnut by Nuevo is expertly crafted of quality walnut with a warm finish. 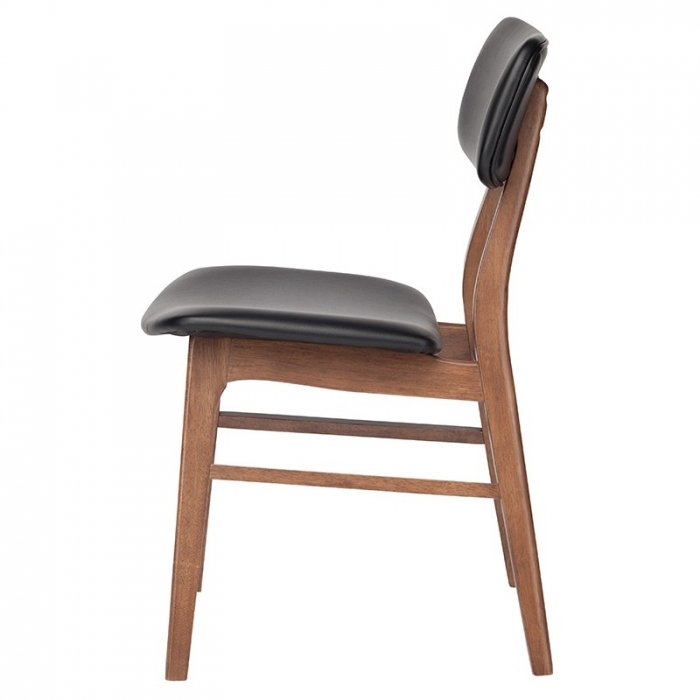 Meticulously upholstered lush and durable faux leather, Nuevo's Scott dining chair - black and walnut features a cushioned contoured seat and backrest for maximum comfort within a sleek and simple silhouette that complements many types of modern decor motif. Versatile style for various decor preferences. Meticulous naugahyde upholstery deep black. Do you have a picture of the back so that we can see how the back rest is attached to the frame? We do not have a photo of the back however we do have it from the side which we hope will show you what you are looking to know. Let us know if this helps or if we can answer any other questions.